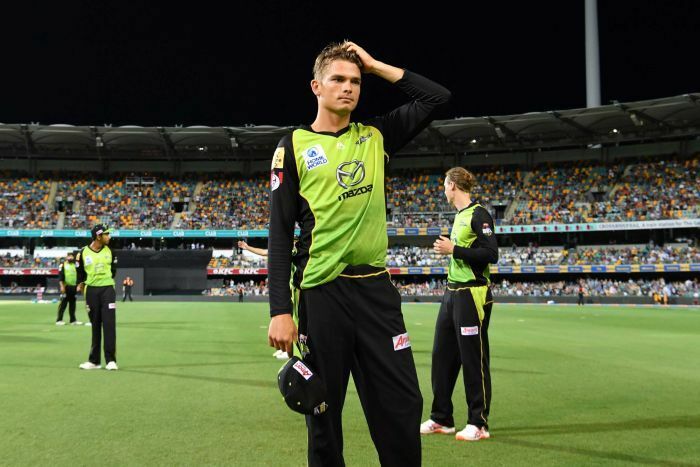 A Big Bash League clash between the Brisbane Heat and Sydney Thunder has been abandoned after a power outage in Brisbane saw the Gabba’s floodlights shut down. It was an ominous sign with a day-night Test against Sri Lanka set to start at the Brisbane ground in a week’s time. 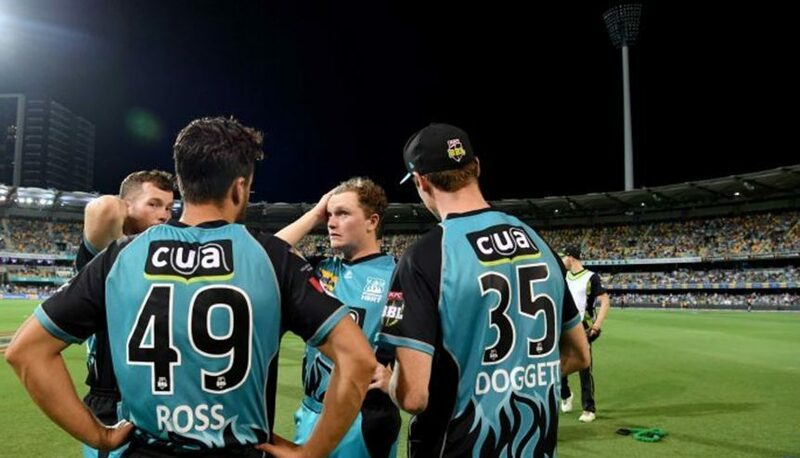 The Thunder belted 4-186 off their 20 overs, powered by a Shane Watson century — the first of the season — and the Heat were in all sorts at 2-10, with big hitters Chris Lynn and Brendon McCullum, after three overs when the stadium started going dark. Many, but not all, of the stadium’s lights went out as homes in the surrounding suburbs of East Brisbane and Woolloongabba lost power. Ultimately the match was abandoned and the Thunder were clearly upset, with Watson reluctantly shaking hands with match officials after it was made official. Thunder coach Shane Bond said he would happily bowl spinners so as to not endanger the Heat batsmen. “We think it’s safe enough to play,” he told Fox Sports. “The word is for us that Brisbane had to agree to it [and] they’ve said no, obviously being in trouble. “The umpires have said ‘we’re going to lean with Brisbane, we think it’s unsafe’. But Brisbane batsman and Bond’s former New Zealand teammate, Brendon McCullum, said playing on was not sensible. “What if someone gets hit in the crowd?” McCullum said. Bond also said he did not see why the Heat got to have a say on the matter when umpires make executive decisions when rain affects matches. He also confirmed match officials told him the safety concerns were more for fielders and the crowd than for the batsmen. The Heat and Thunder each received one point from the game, with the third-placed Sydney-siders justifiably upset to have been robbed of the chance to leapfrog the Melbourne Renegades for second spot.